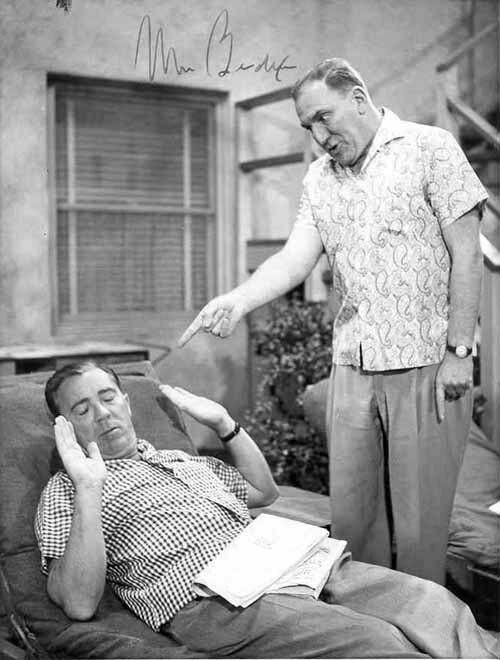 Jim Gillis (Tom D'Andrea) and Chester A. Riley (William Bendix) on the set of "The Life Of Riley". 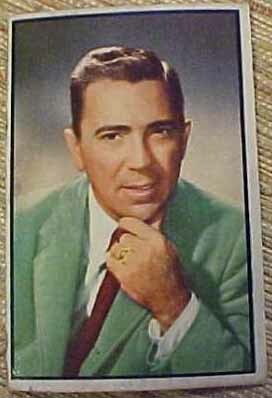 NBC trading card of Tom D'Andrea. 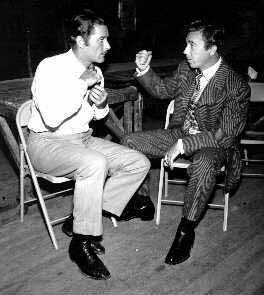 Errol Flynn and Tom D'Andrea on the set of "Silver River" (1948 movie). Many thanks to Jim D'Andrea for the four pictures that are above. In 1955, Jim and Honeybee (Tom D'Andrea and Gloria Blondell) left the "Life of Riley". Tom was moving on to a new series with Hal March called "The Soldiers" (Hal on the left, Tom on the right). 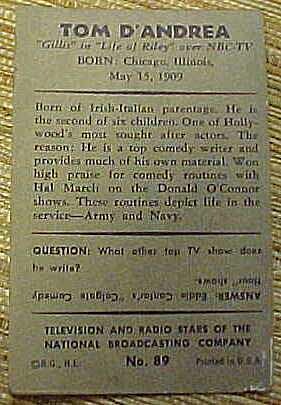 During a few months of 1955, Hal March was on 2 live shows, "The Soldiers" on Saturday and the "$64,000 Question" on Sunday. "The Soldiers" only lasted from June-September 1955. This enabled Tom's return to "Life Of Riley" in 1956, as well as Gloria's, in the episode "Buttering Up A Millionaire". As you can see, the Gillises are overjoyed to see the Rileys after the absence. Riley thinks Gillis has big money.